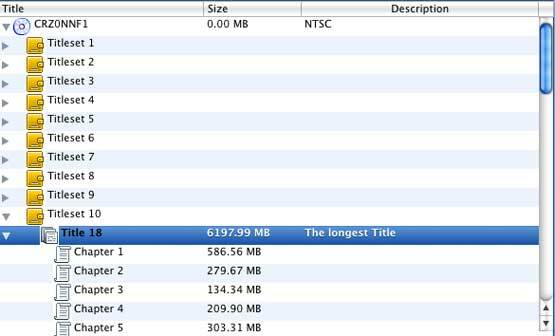 How to Copy and Rip encrypted DVD Movie on Mac OS X? Any DVD Cloner Platinum for Mac is an ultimate DVD solution for copying DVD and ripping DVD. It can copy DVD movie to DVD and copy DVD to hard drive with 1:1 ratio in a super high DVD copy speed, compress DVD9 to DVD5 with best quality. The operation of Mac DVD Cloner Platinum is very simple. After only several steps, you can copy any DVDs to ISO file, hard disk or DVD discs. 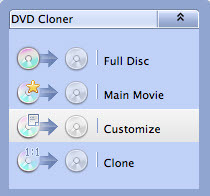 Double-click the installation file "Any DVD Cloner Platinum. dmg" to start it on your Mac, then install it according to the introduction given. Step 2. Open source DVD. Step 3. Choose Target DVD Drive. Note:If you have only one DVDRW drive, you just need to choose the same DVDRW drive your DVD movie has been inserted.If you have more than one DVDRW drive, please confirm Source and Target have the same DVDRW drive. Step 4. Choose DVD Clone Mode. Step 5. Choose Target Size. Once the program finishes the copying process, the DVD movie disc will eject automatically, and you will be prompted to insert a blank DVD disc.